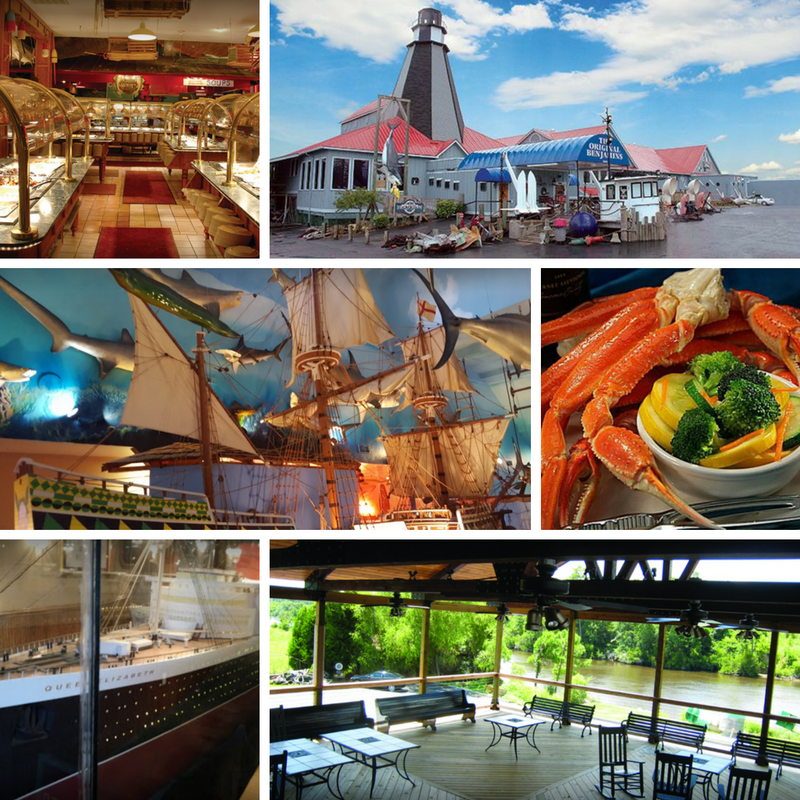 Dining options abound along the Grand Strand and seafood is king, but where to start? When restaurants fill every block and each one claims to have “the best seafood on the beach” you don’t have time to try them all. 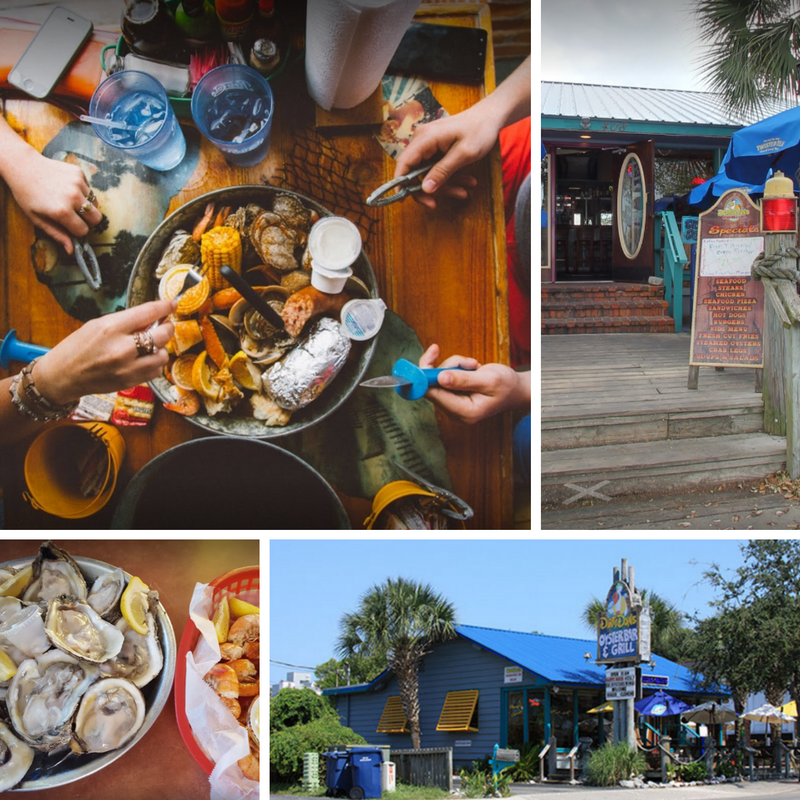 We’ve narrowed the list down to the best seafood in North Myrtle Beach and our sister city to the south, Myrtle Beach, to help you decide. In no particular order here are our favorite ten! The Boundary House has a long history steeped in South Carolina heritage. Though the current restaurant sits a mile or so from the original Boundary House, you will still feel the history when you walk in the door. 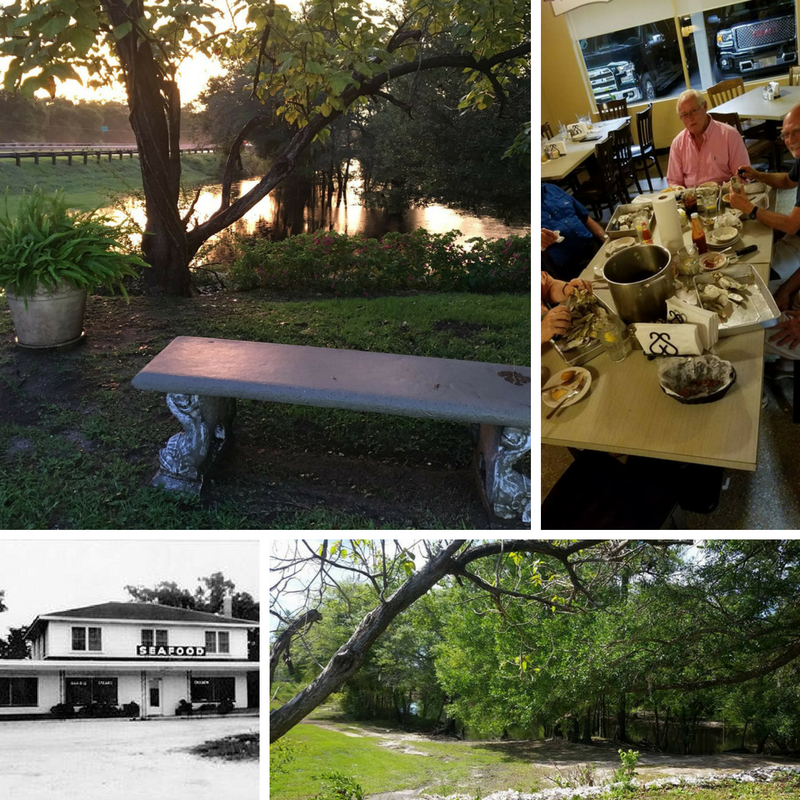 The Boundary House started out as a rest stop for travelers between the Carolinas and over its 200 year history there were congregation gatherings, duels, wars, and always food and fellowship in between. Today you will find tasty lunch specials and a generous dinner menu featuring comforting hot crab dip, local flounder, oysters, shrimp, and daily fresh fish selections. Leave with a history lesson and a full belly. If steamed oysters are on your list of must-eats then you have to check-out Horry’s Restaurant. Located just outside of North Myrtle Beach on Highway 9, Horry’s is a locals favorite. This family restaurant has been serving up oyster roasts and seafood plates for years right on the banks of the Waccamaw River. The regular lunch and dinner menus have some tasty choices, but the real stars here are the combo seafood plates, delectable hushpuppies (corn dodgers if you prefer) and the OYSTERS. It doesn’t get much better that a steaming pot of Carolina Oyster clusters on a chilly fall night. Bring your oyster knife and get to slurpin’! 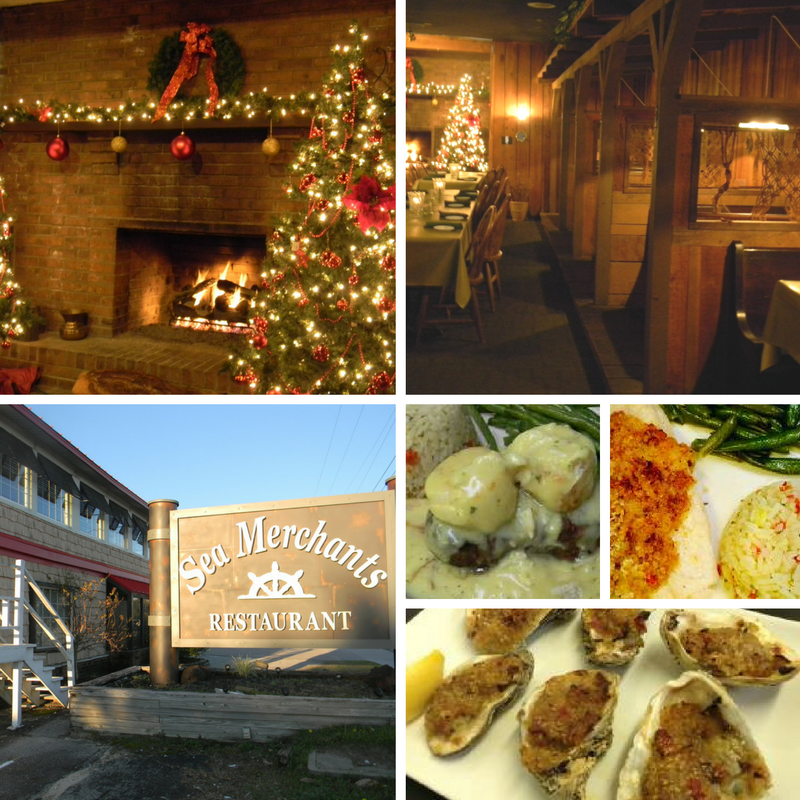 Sea Merchants has been serving hearty portions of seafood and prime rib for over 30 years. It is one of the few restaurants in the Myrtle Beach area to have a working, wood-burning fireplace in the dining room. This makes it an ideal spot for romantic date nights or a cozy dinner with your friends and family. The oysters Rockefeller and oyster casino are to die for; and the jumbo select oysters are carefully chosen for these old school dishes. Each night you will find two to three dishes that are special features; from filet and crab cakes to giant seared ahi tuna steaks to grouper filet or shrimp and scallop jambalaya . You can take your time at Sea Merchants. The servers won’t rush you and you are able to really enjoy your meal. Our suggestion? Start with a classic martini and the appetizer sampler, then the Sea Merchant’s tenderloin with Scallops and Crab or the Grouper Casino. Amazing! 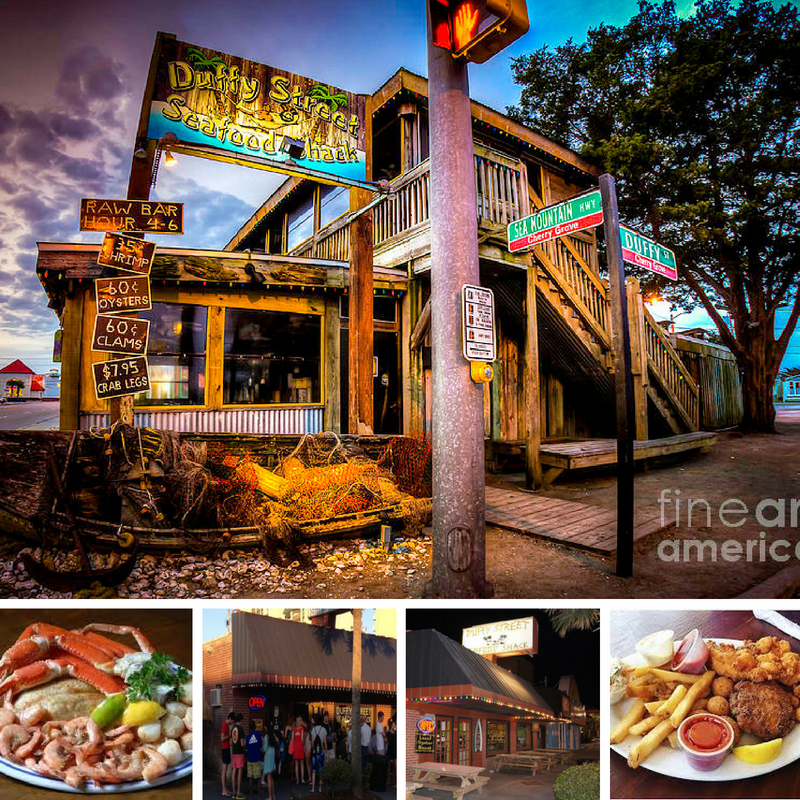 When you need to satisfy that lunch time craving and don’t feel like taking off your bathing suit for dinner Duffy Street Seafood is your best bet in North Myrtle Beach. With two North Myrtle Beach locations, the Original on Duffy Street in Cherry Grove and the second on Main Street in Ocean Drive, you will find no shortage of seafood choices. Happy hour deals with .35 shrimp and $8 crab legs, comforting bacon wrapped shrimp and crab dip to fried seafood and fries, you will find something to satisfy your cravings. To-go orders are available all day, so that you can get back to your beach chair with a Po’ Boy in one hand and a cold drink in the other. Where else can you pick your fish before you eat? Flying Fish Public Market & Grill is located on the Intracoastal waterfront at Barefoot Landing in North Myrtle Beach. 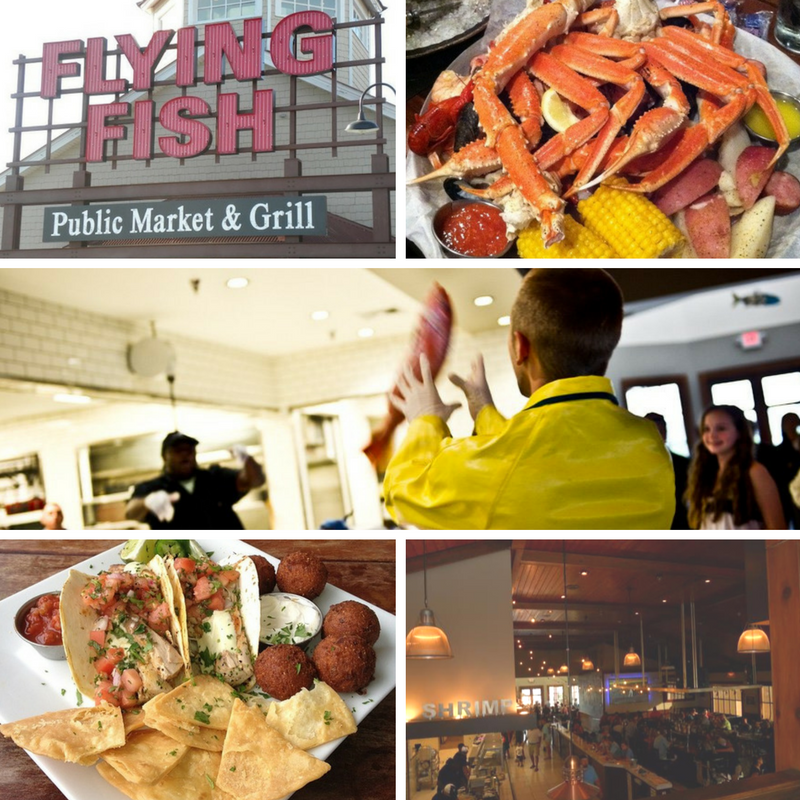 Part restaurant part seafood market, Flying Fish is a great place for brunch, lunch, or dinner. 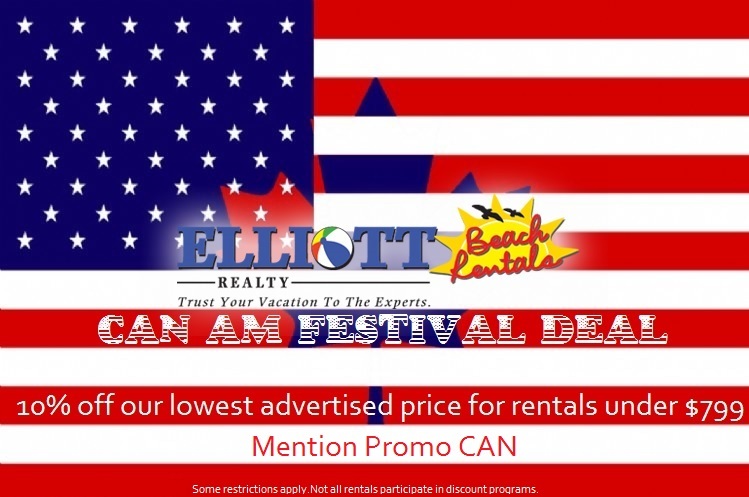 You have your choice of sushi, fried or grill seafood, huge sandwiches and burgers, tasty tacos, crab cakes, shrimp and grits, seafood mac and cheese or build your own seafood low country boil! The view of the Barefoot Marina and boats passing by is perfectly paired with a tall Bloody Mary or margarita. The Fried Green Tomato BLT on the $7 lunch menu is a perfect reason to stop and relax while enjoy the shops at Barefoot Landing. The best part? Every table gets a free order of their Smoked Mahi Mahi dip. Its amazing! Try your hand at the FISH TOSS at the market counter before you leave! Once you pull up to 21 Main you won’t feel like you are in Myrtle Beach. Located at North Beach Plantation, 21 Main has the air of a big-city eatery but with down-to-earth southern hospitality. The sushi selection and preparation is one of the best on the beach. Their signature roll, the 21 Main Roll, features delicious fresh spicy Ahi tuna and avocado, topped with seared salmon, tempura and spicy mayo. There is a large selection of wines by the glass and bottle! On the entree menu the seafood stands side by side in quality with the bone-in steaks. Be sure to take note about the daily specials as that’s where the real goodies are. For starters the Oysters with Bacon Migonette can’t be beat and their award winning Lobster Bisque is a must try. Its also a perfect venue for company and birthday parties or wedding receptions. 21 Main is a reliable, never boring locals favorite. Chestnut Hill Restaurant started as a bible study. You read that right. According to the Chestnut Hill story, in 1950 Mr. and Ms. Chestnut offered their tobacco packhouse, in what is now known as Restaurant Row, to a family friend as a gathering place for bible study classes. That same comforting and down-home atmosphere is still alive and thriving at Chestnut Hill Restaurant. 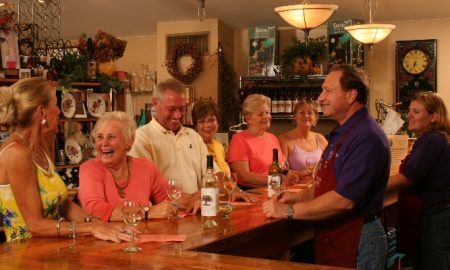 A locals favorite for holiday parties and weekend gatherings, you will always find delicious food and sincere hospitality. 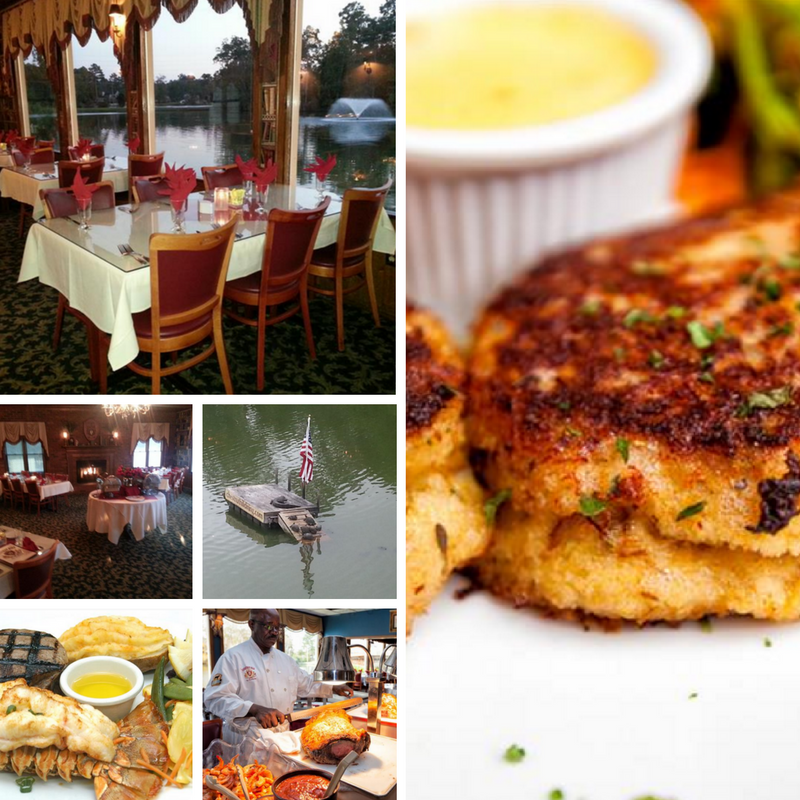 Chestnut Hill has several intimate dining rooms each of which has wonderful view of the lake behind the restaurant where you can watch sunbathing turtles and you just might see an alligator sunning itself on the dock! 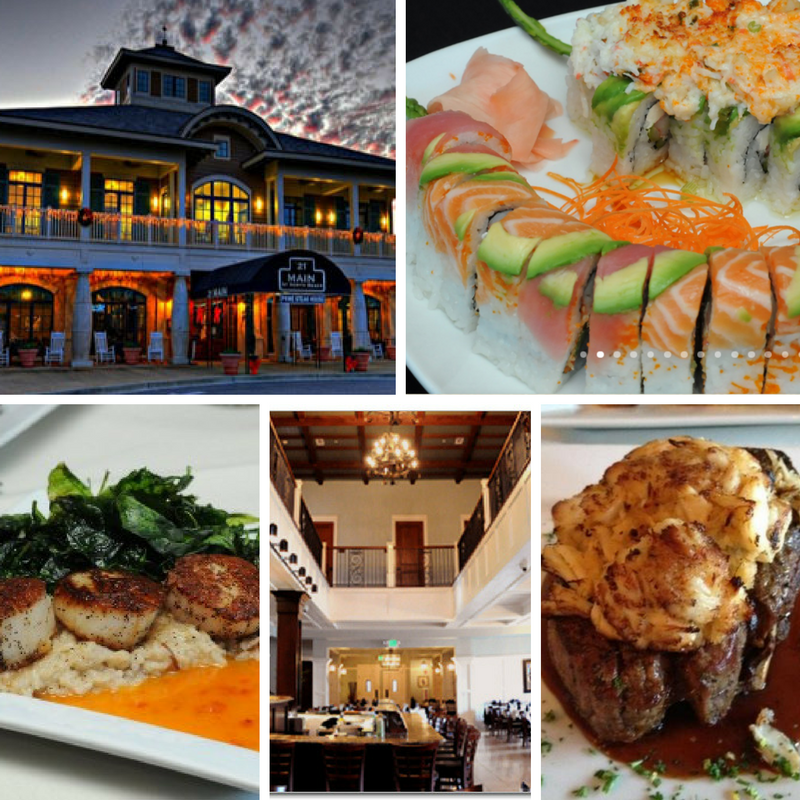 Chestnut Hill offers fresh, local seafood, Mid-Western corn fed Beef, Prime Rib specials on the weekends, huge Alaskan King Crab Legs, Lobster Tails, artfully crafted low country dishes, and the BEST crab cakes on the beach! When it comes to buffets in Myrtle Beach Original Benjamins is the ultimate buffet experience. Even those who don’t like buffets will enjoy the huge selection at this incredibly decorated restaurant. Photo opportunities abound; from the giant shark hanging out front to the amazingly detailed large scale ship models throughout, to the antique diving suits Benjamins will not disappoint. Benjamins features 11 individual dining rooms each with its own theme and each filled with unique decorations that will delight your whole family; Benjamins has one of the world’s largest collections of nautical antiques, large scale ship models and mounted sea creatures. It is truly a beach dining experience. 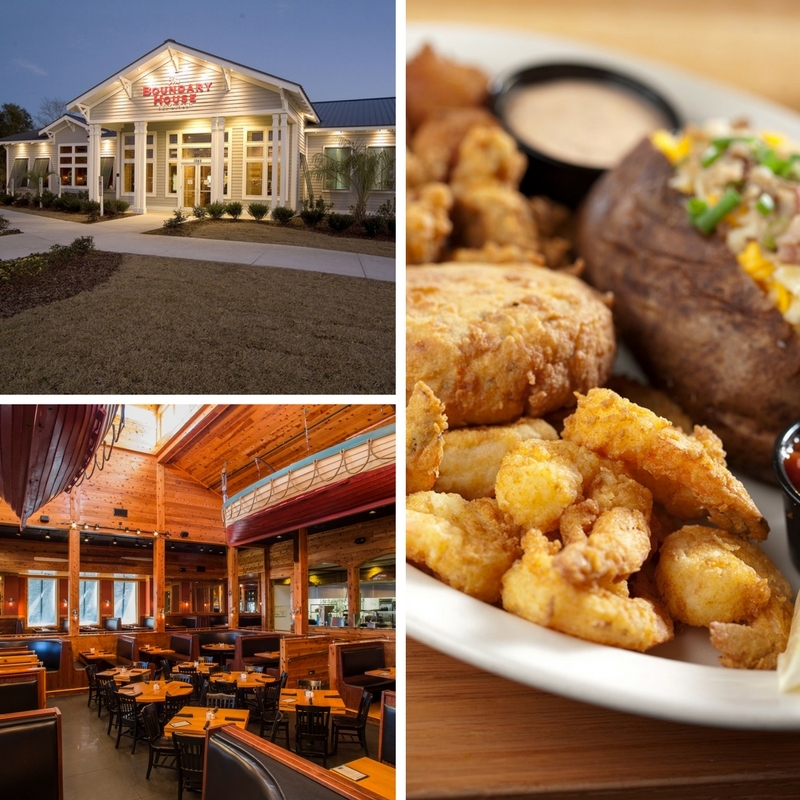 The 170 item buffet includes a crab bar with king crab legs, pasta and carving stations, calabash style seafood, and many other dishes unique to the tidelands and low-country of South Carolina. 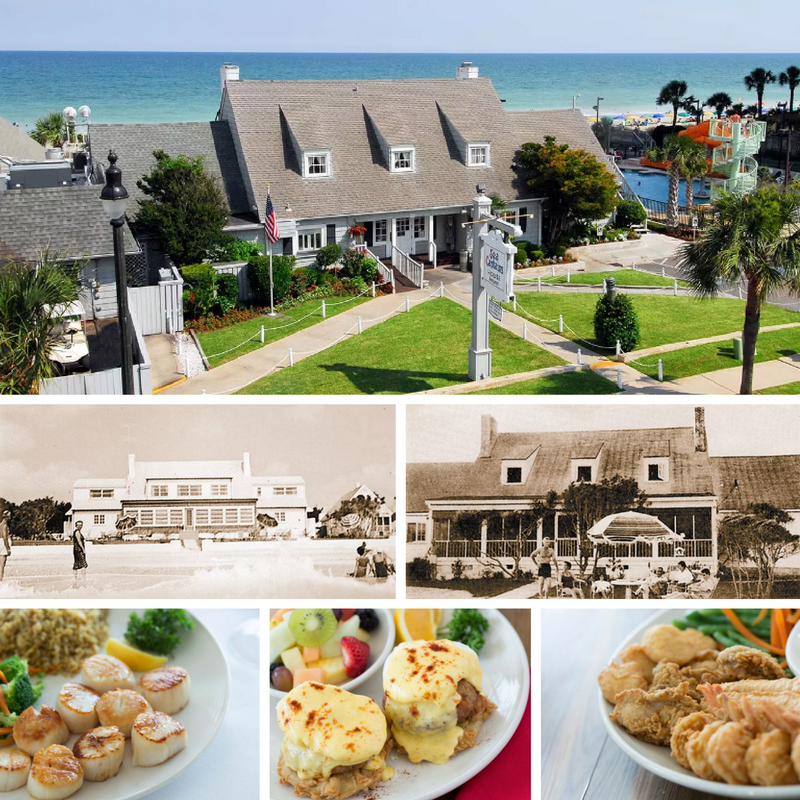 Sea Captain’s House has been serving up seafood with an oceanfront view for over 50 years. What started as a vacation home for a North Carolina family has become one of Myrtle Beach’s best restaurants. The Taylor and Angle families enjoyed their oceanfront beach house for many years before the Howard family began operating the ocean-side respite as an inn for vacationers. Today you will find that same hospitality as you walk through the front door of Sea Captain’s House. The relaxed sitting rooms and old fashioned bar set the tone for a relaxing dining experience in the cozy oceanfront dining room. It has become a locals favorite for brunch with their delectable Crab Cakes Benedict and Smoked Salmon Sandwich. In the evening savor the She Crab Soup and Smothered Salmon Cordon Blue. When you are just looking for down and dirty, simple and to-the-point eats Dirty Don’s is the place to go. Don’s Oyster Bar & Grill has one of the best happy hours on the beach; enjoy 50¢ shrimp, clams, and mussels Mon-Fri. You can also enjoy Dirty Don’s originals like the Oyster trio with Oysters Rockefeller, Oysters Salsa, and Blackened oysters. The clam strips will please any of the little ones in your crowd and the fresh steamed shrimp, oyster selects, mussels, or clams will satisfy your salty cravings. Don’t forget to order a pitcher of Killer Kool-Aid to wash it all down before you head back out to the beach. 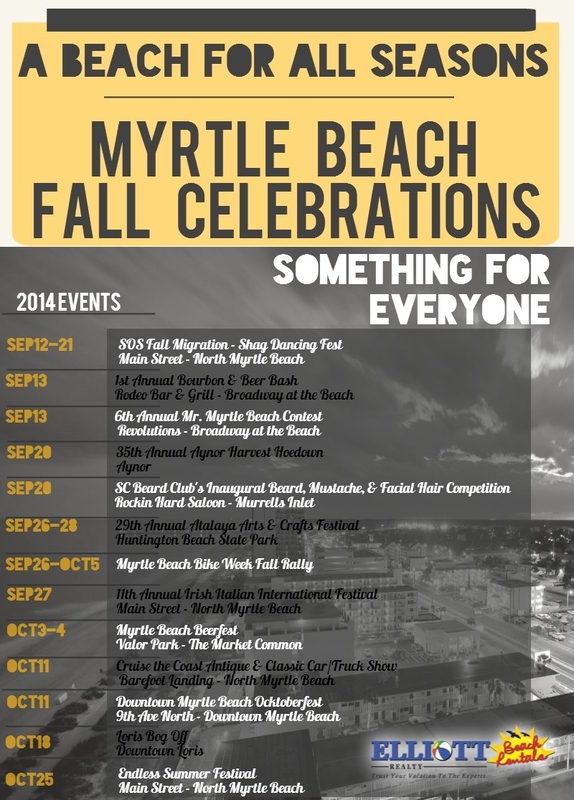 Looking for more information on Myrtle Beach Dining? 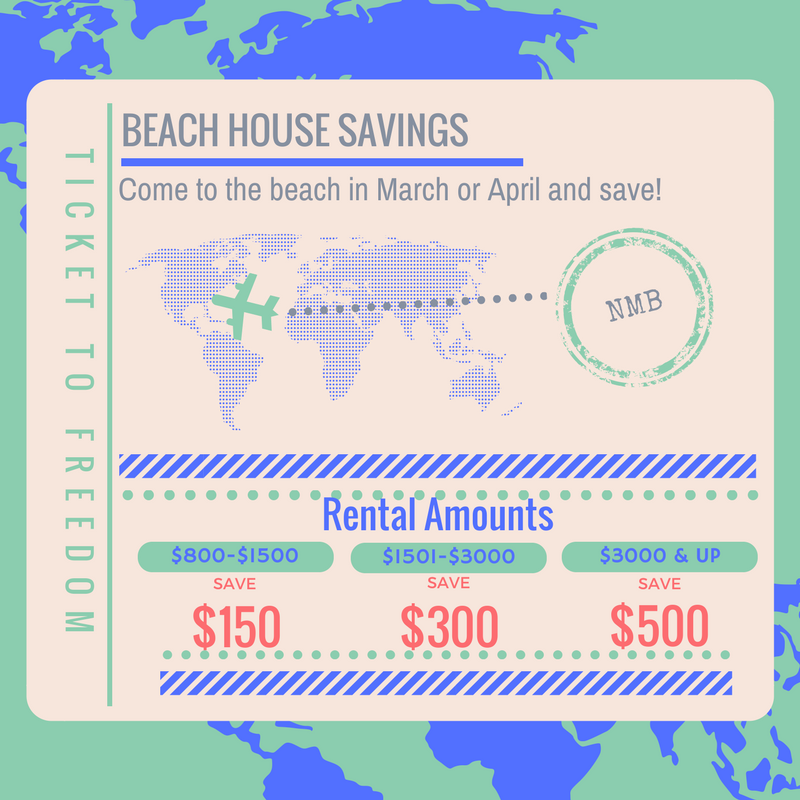 Check out our latest news! We’ve got the perfect place for you to relax on your next trip to North Myrtle Beach. Plan your adventure today!